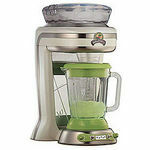 All the power you need to: mix, puree, dice, crush ice, and more - with only 4 simple buttons. 700-watt of peak blending power. 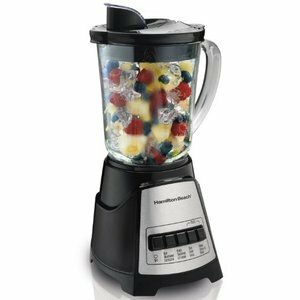 this blender is really good for making smoothies. I love my blender. To make drinks it works fabulous! 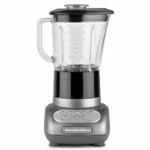 Just love this blender because I can utilize it in anything which includes grinding and chopping my dry spices, dry peppers, to milkshakes to margaritas. I utilize my blender every day. 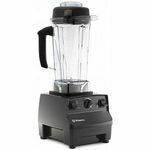 I have owned my blender for several years now and I can still rely on blender. A great investment. It's ok for the money. I got this product as a Christmas gift. I was tired of using the plastic blender and this glass piece is very sturdy and I feel very confident using it. It's pretty powerful...just a little heavy but that's because of the glass. Love it and I would recommend it to anyone. Also a very handsome appliance. 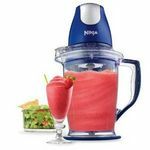 I would really love to test any appliance I don't personally own a blender right now but have wanted one for a long time I would use it to make shakes , or mixed drinks or slushies for my family .I do love to entertain . 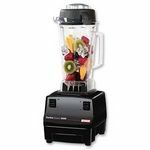 I loved this blender. It is fun to use and very addicting. Great for making margaritas. Can make the frand kids icies and more. Great for making baby food. Fun for making protein shakes and making mised drinks with the ladies. I like to try new things. Can make some goodies for the family. Can make a great salsa . u can blend grind and mince and more. What more can u ask for.